Number of championships: Paris St. Germain won Ligue 1 (France's First Division) 5 times; and the Ligue 2 once. Number of Cup wins: Coupe de France – 9 times; Coupe de la Ligue – 5 times; Trophée des Champions – 4 times; UEFA Cup Winners Cup – 1 time; and UEFA Intertoto Cup – 1 time. * Book Official PSG - Paris Saint Germain Tickets Now! * PSG - Paris Saint Germain Tickets Have High Demand, Don't Miss The Opportunity. * PSG - Paris Saint Germain Tickets Are 100% Guaranteed. Paris Saint Germain FC, but more often than not it is shortened to simply "PSG", are a French professional football club based in the city of Paris. The club typically plays in the highest tier of French football, Ligue 1, and traditionally wear red and blue kits. Paris St. Germain F.C. was formed in 1970 as demand arose for an elite football club in Paris, making it a relatively new team. Local businessmen decided to merge Paris FC with Stade St. Germain, a team who had just been promoted to the Ligue. Paris St. Germain started off on a great foot and got promoted in its first season, however by 1972 the team decided to split up once again. Paris FC returned to Ligue 1 and Paris St. Germain was demoted to Division 3, but not for long, as it returned to Ligue 1 two seasons later. PSG won several titles throughout the 1980s and 1990s, including their first Coupe de France win in 1982 and their first Ligue 1 title in 1986. The team reached a coveted peak when it won the UEFA Cup Winners Cup in 1996. However, after a successful run, the 2000s did not begin well for PSG. The team was close to being relegated a number of times, but despite this, they won the UEFA Intertoto Cup in 2001. The club started to stabilise again in 2011 under new management, when it was purchased by Qatar Sports Investments. 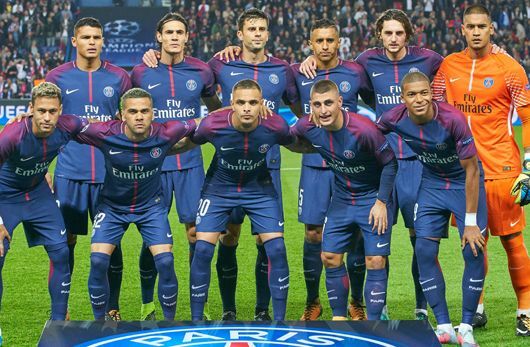 Following a decade of ups and downs, 2014 and 2015 were more successful for the team, with PSG winning the Ligue 1, the Coupe de France and the Coupe de La Ligue in 2014 and 2015. What is Paris Saint Germain's Most Successful Period? PSG's most successful period was in the 1990s, when the team won a number of titles - most notably the UEFA Cup Winners Cup in 1996, and the triple win of the Coupe de France, the Coupe de La Ligue and the Trophée des Champions in 1998. How to Buy Paris Saint Germain Tickets on Ticketgum? Choose a Paris St. Germain from the selection at the top of the page. Select your seating area and update the ticket quantity.